Not all countries are the identical, and swimming regulations and rules are changing from one country to another. These are the Outdoor Pools in Australia other users have reported. Are you a local and your pool is not listed? Contact us to ADD IT. It's free! Swimia.com needs your feedback to ensure all of the data is valid, since perhaps this pool is no longer open towards the public. Traveling to Australia? This is the right spot on the internet to discover places to swim in Australia. Every day you happen to be not swimming you are losing precious time to improve your skills a be a far better swimmer! No a lot more excuses!. Looking for Swimming Pools? Numerous of them belong to gyms or sport centres which also offer lessons. Please check the nearest Outdoor Pools in Australia or Contact us to ADD IT. It is free of charge! It's hard to visit Australia with out dropping by Melbourne (with 3.730.206 residents). 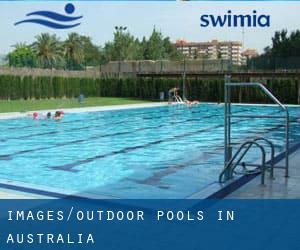 Currently Swimia is showing you all the Swimming Pool in Melbourne as well as the closest pools located in its vicinity. Let us tell you a secret to switch off while you are in Sydney: just choose a Pool in Sydney and plunge into the water! There's no even more efficient strategy. Holding an estimated population of 1.074.159, Adelaide is among the most important cities in Australia. Check all the Pool in Adelaide and its surrounding area. Without a shadow of a doubt, swimming in Brisbane will be the perfect way to unwind after work. 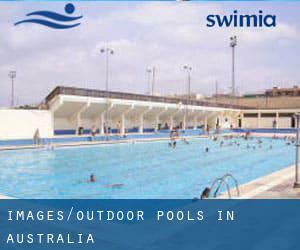 Take a couple of minutes to browse Swimia's catalog to find a Swimming Pool in Brisbane. Whereas Gold Coast is one of the six most populous cities in Australia with almost 527.660 residents, you shouldn't miss that one if you're going to Australia. Swimming is a excellent idea to keep your body active throughout your visit to Perth (Australia), or even if you're a local. Swimia helps you to locate your closest Pool in Perth. Updated on 2019 This sports centre offers 25 meters, 6 lanes, Outdoors. For this Swimming Pool, only phone number is number here. Updated on 2019 19 Quay Street , Bundaberg , QLD (Postal Code: 4670). Swimmers like you reported Olympic size, Outdoors. Unfortunately we do not have the email address of this Pool, but we can give you the phone number. Updated on 2019 Ormiston College , 97 Dundas Street West , Ormiston , Brisbane Metropolitan Area , QLD (Postal Code: 4160). Among all the activities provided by the centre, should you be interested in swimming you might appreciate 25 meters, 10 lanes, Outdoors. Updated on 2019 Pizzey Park , 80 Pacific Avenue , Miami , Gold Coast Metropolitan Area , QLD (Postal Code: 4220). Few days ago a regular user of this centre told us they offer Olympic size x 25 meters, 10 lanes, 1.1 meters - 2 meters depth, 1.1 meters - 2 meters depth, Outdoors. Furthermore, they keep in good conditions Olympic size, 8 lanes, 1.1 meters - 2.0 meters depth, 1.1 meters - 2.0 meters depth, Outdoors. For this Swimming Pool, only phone number is number here. Updated on 2019 Clotworthy Street , Kalbarri , WA (Postal Code: 6536). Among all the activities offered by the centre, if you are interested in swimming you can expect to enjoy 25 meters, 3 lanes, Outdoors. If you need to get in touch with this Swimming Pool, email address and phone number are both number. Updated on 2019 War Memorial Drive , North Adelaide , Adelaide Metropolitan Area , SA (Postal Code: 5006). This great and large sports centre lets professional swimmers like you enjoy 25 meters, Indoors. Additionally, within these facilities you can try 25 meters, Outdoors. Unfortunately we do not have the e-mail address of this Swimming Pool, but we can give you the phone number. Updated on 2019 Gymnasium Road , Marsfield , Sydney Metropolitan Area , NSW (Postal Code: 2109). This great and large sports centre lets professional swimmers like you enjoy Olympic size x 20 meters, 8 lanes, 1.3 meters - 2 meters depth, 1.3 meters - 2 meters depth, Outdoors. Additionally, within these facilities you can try 25 meters x 12 meters, 6 lanes, 1 meters - 1.5 meters depth, 1 meters - 1.5 meters depth, Indoors. Phone number and e-mail address are number for this Swimming Pool. Updated on 2019 Warradale Road , Warragamba , NSW (Postal Code: 2572). Swimmers like you reported 25 meters, 8 lanes, Outdoors. Unfortunately we do not have the email address of this Swimming Pool, but we can provide you with the phone number. Updated on 2019 Merrylands Park , 17 Burnett Street , Merrylands , Sydney Metropolitan Area , NSW (Postal Code: 2160). This sports centre provides Olympic size, 8 lanes, Outdoors. For this Pool, only phone number is number here. Updated on 2019 12 Davies Road , Claremont , Perth Metropolitan Area , WA (Postal Code: 6010). Swimmers like you have reported Olympic size, 8 lanes, Outdoors. Also, you will find 25 meters, 7 lanes, 1 meters depth, 1 meters depth, Outdoors. If it is advisable to contact this Swimming Pool, email address and phone number are both number. Updated on 2019 14 Dawson Street , Brunswick , Melbourne Metropolitan Area , VIC (Postal Code: 3056). This great and large sports centre lets professional swimmers like you enjoy Olympic size, 8 lanes, 0.7 meters - 5 meters depth, 0.7 meters - 5 meters depth, Non-Chlorine Sanitized, Outdoors. Additionally, within these facilities you can try 25 yards, 0.7 meters - 1.5 meters depth, 0.7 meters - 1.5 meters depth, Indoors. Unfortunately we do not have the email address of this Swimming Pool, but we can give you the phone number. Updated on 2019 2 Riverview Parade , Surfers Paradise , Gold Coast Metropolitan Area , QLD (Postal Code: 4217). Swimmers like you reported 25 meters, Outdoors. Phone number and e-mail address are number for this Swimming Pool. Updated on 2019 40 Coode Street , South Perth , Perth Metropolitan Area , WA (Postal Code: 6151). This sports centre provides Olympic size, 8 lanes, Outdoors. Contact info for this Swimming Pool which include phone number and email address are number. Updated on 2019 Ocean Street , Woolgoolga , NSW . Among all the activities provided by the centre, for anyone who is thinking about swimming you will delight in 25 meters, 5 lanes, Outdoors. Just in case you want to make contact with this Pool before dropping by, we only know the phone number. Updated on 2019 Ethel Street (off Leader Street) , Forestville , Adelaide Metropolitan Area , SA (Postal Code: 5061). This sports centre gives Olympic size x 20 meters, 8 lanes, Outdoors. For this Swimming Pool, only phone number is number here.